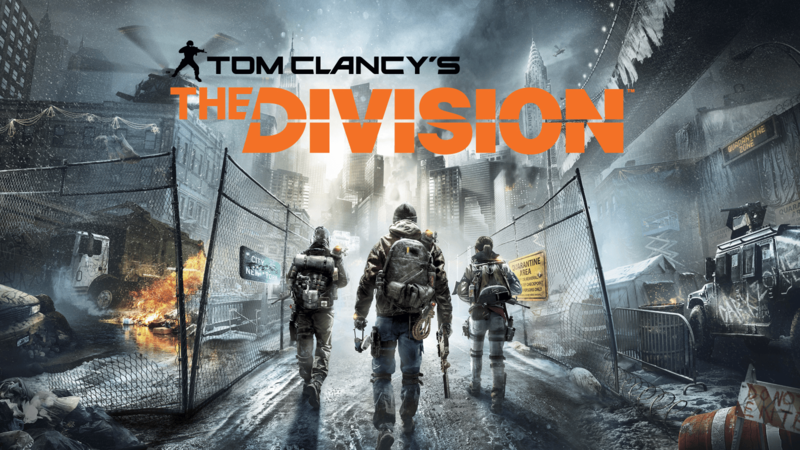 There are many good things to say about Tom Clancy’s: The Division, but many are accompanied by counter issues as well. While the world is absolutely gorgeous, it is also boring and mostly empty when not in a mission or Dark Zone. Amazing gear customization and RPG elements, but extremely lacking and restrictive character creation. The cover based gameplay is solid and engaging, but is weighted down with walking bullet sponges. Not to mention running bullet sponges with shotguns that can shoot across a room with no bullet spread and that grossly out weigh any damage you can do. From the strings of Christmas lights and snowmen to an unlit Time Square there is multitude of striking imagery that really sells what you are up against. This is not a terrorist attack that has brought the city together with hopes of rebuilding. 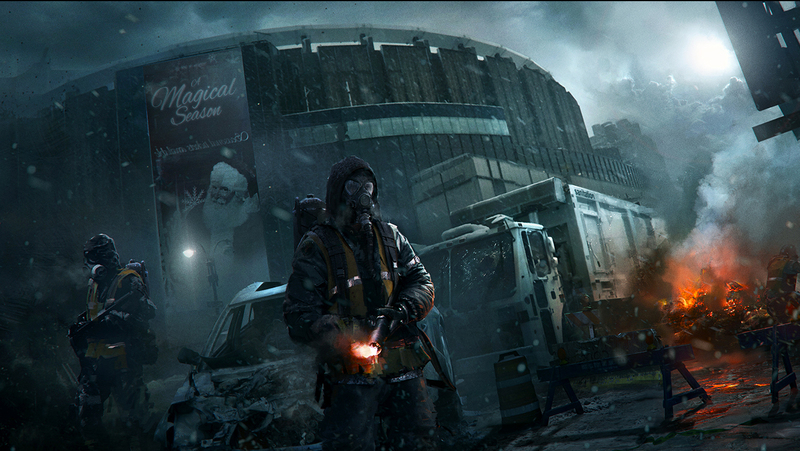 This city has fallen and may stay that way even after the valiant efforts of your Division Agent. In one of the many cell phone conversations to pick up, there is a line that accurately conveys what the city has become. A rioter explains, “If he wants in, he will have to pay up. Not with cash, gold, or any of that worthless s**t.” Normal conventions have broken down and it is survival of the fittest. This city may have been brought to life by backstory and imagery, but the lack of stuff to do is really killing it. 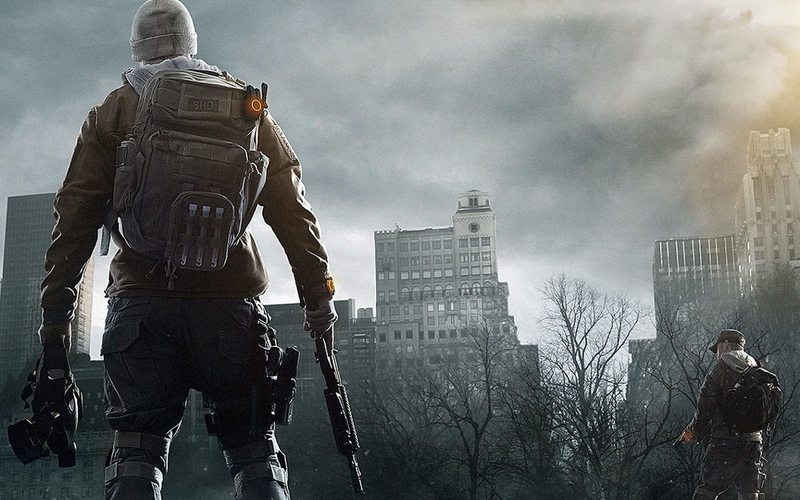 Enemies are few and far between and the only place you will see non-party members are in the dark zone or safe houses. Really makes it feel less like a crime ridden city being saved by a secret government group and more like a test to see how far you are willing to roam to actually find something to do. After you finish all the one and done events on a map, the only reason to come back is for an endless supply of collectibles or for the ever needed crafting materials. I should want to explore this sprawling city, but instead I fast travel to whatever the daily challenge mode is and then back to the Lincoln Tunnel mission to hopefully get some high end gear to drop. And for the past week, and a few days into the update, there are no daily challenges. The April update has given more gear but a steep increase in material cost and a decrease in material gained from dismantling doesn’t help with an already long grind. Gameplay is good, not amazing, but good. For the most part the cover mechanics work, there is ample stickiness and has a good response time, but it is inconsistent. Sometimes when I aim to the side of my cover, my agent stays down and shoots to the side. While other times he stands straight up and says, “Hey shotgunner that is standing on the other side of this cover, shoot me in the face!” Along with this, there have been several times that I go to get behind cover and I do the “Oh we’re sorry that flat wall you chose with a few small wires is not cover, please stand still so the sniper can one shoot you,” stance. This is where the game really flexes it’s RPG muscles. Talents and gadgets come from upgrading your base, but what will really determine how well you progress in the end game depends on your weaponry and gear. There are a plethora of guns and gun related paraphernalia for your looting pleasure. Everything from slow fire rate, high damage marksman rifles to LMGs with 150+ magazines. Many of the guns have lots of customization options as well. So you can fire that rifle faster or push that LMG into the 200+ magazine range. You really can mod the guns to your liking and find your perfect setup. 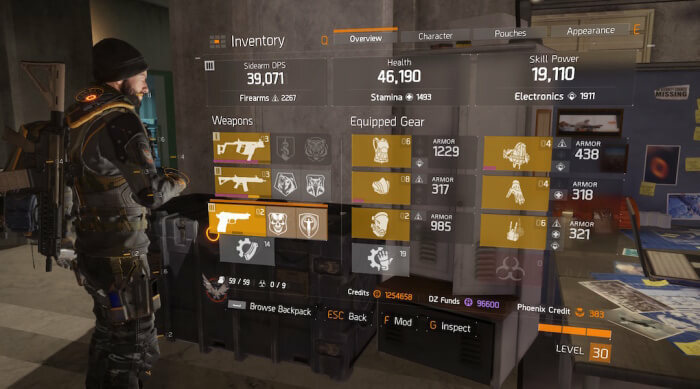 Besides finding the perfect gun setup, you will also spend a lot of time trying to find or craft the gear needed to make your character build. 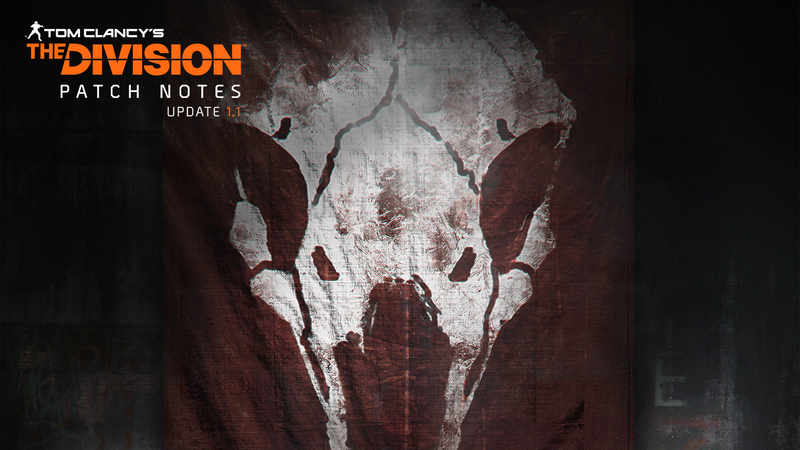 While some of the best guns will be found as loot, most players are spending the bulk of their time at the crafting and re-calibrating stations. Named high ends have set perks and damage ratings while crafted items have random perks and can drop with higher damage output. This has led to lots of materials spent looking for god-rolls, and some have been lucky enough to craft one. 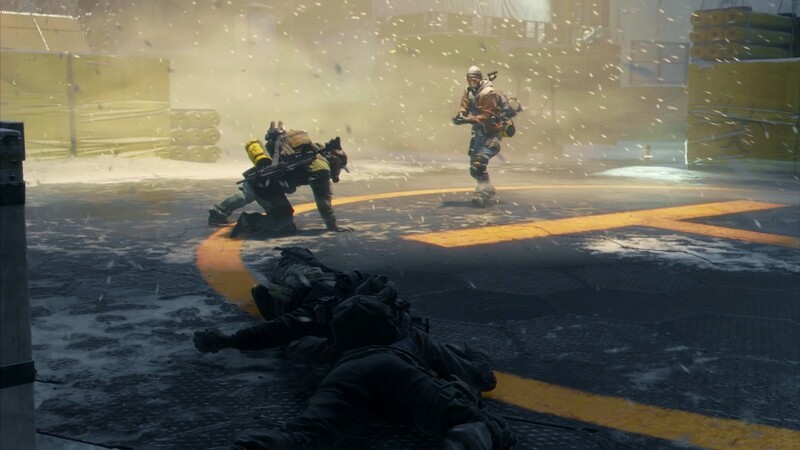 Until the Incursion the only end-game was to run around the Dark Zone and fight off high level enemies and other players. There is a fun tension that occurs while you are helping some random players and then wondering if they will turn on you. If you find one person, you are usually safe, but beware 2 or more players. 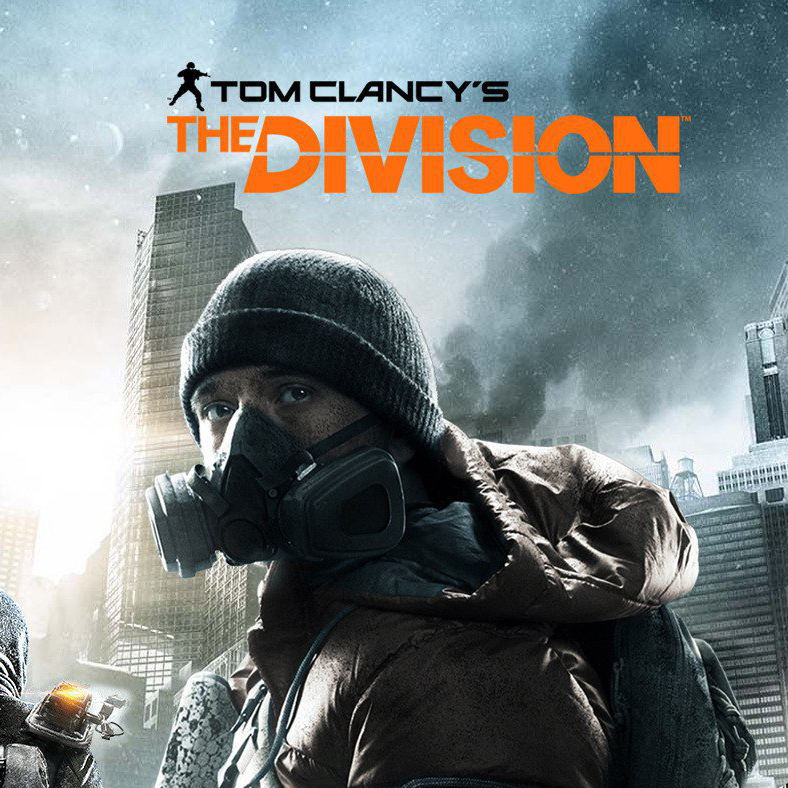 The issue that occurred in the Dark Zone came when players became bored and had accrued most of the gear they were wanting. So, the result is lots of trolls and rogue agents. The Dark Zone can be a lot of fun, but it can also be infuriating at times. These have been touted as a Raid, but I would not consider them anything near that. They are fun and challenging, but they are closer to Halo’s Firefight. Most of the challenge comes from throwing lots of enemies at you with varying degrees of sponginess. You hunker down and try your best to survive wave after wave until you can defeat the boss. So it is a challenge, but no where near the complexity that the word “raid” brings to mind. This is what I consider a “But” game. It has several things that make it a great game, BUT there is always something to bring it down a peg. I have enjoyed the game and plan on keeping it in my collection of games to keep playing. If you enjoy looter shooters I suggest you give it a go. However, there are some things that will turn people away.